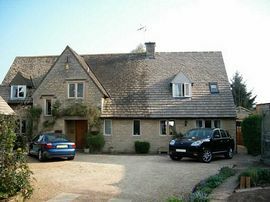 Near to attractions such as Chipping Campden and Stratford-upon-Avon. Tony and Jenny Boyse offer you a warm welcome and refreshments to revive you upon arrival, in a quiet corner of the Cotswolds that is Little Gidding. Little Gidding is a large stone house, set well off the road, situated in the centre of this small North Cotswold village. We have two very spacious first floor en-suite rooms. One king size room with it's own exclusive separate guest entrance and one super-king size room. We also have a comfortable first floor double room with a private bathroom. Each room is well appointed with Flat Screen TV, Internet Access, Radio, Alarm Clock, Hairdryer, Fridge and Tea and Coffee making facilities. Guests have access to their own lounge to relax in and which contains extensive local information and maps. 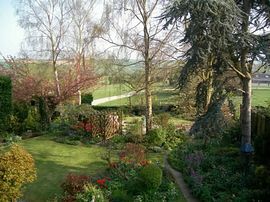 Little Gidding also has a large private garden, which guests are welcome to explore or relax in at any time and in which breakfast can be served if the weather allows. A choice of breakfasts is available from full English to Continental, all served with a wide choice of teas and coffee and special diets can be catered for by arrangement. All the food is sourced locally within a thirty mile radius wherever possible, with some vegetables and fruit from our own garden in season. There is ample off-road private parking at the front of the house for guest's vehicles. 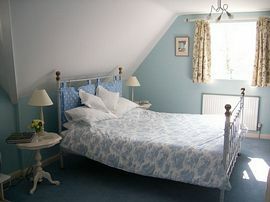 £70.00 per room per night including breakfast. A 10% discount will be applied to the above prices for stays of three nights or more. Single Occupancy is available with price quoted upon application. Special Diets Provision: Special diets are catered for. On request. Take the B4035 towards Shipston on Stour. After approx. half mile turn left following the signs to Ebrington. Once you reach the village follow the road through until you see the red telephone box on your right by a driveway. Little Gidding is the next driveway on the right and you will see our sign at the drive entrance.